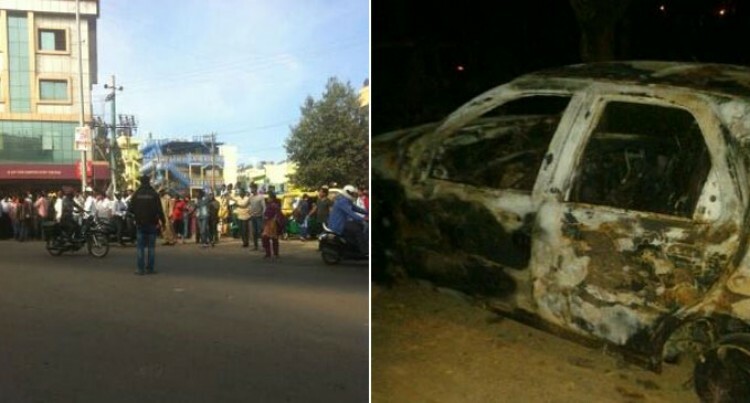 Three iTaukei students studying at the Acharya Institute of Graduate Studies in Soldevanahall, Bangalore, India, fear for their safety following mob threats targeting dark-skinned foreign students. This was after a foreign student allegedly killed a local woman in a hit and run accident that prompted the mob threats towards the foreign students including our Fijians. A Fiji Sun student journalist Wati Talebula is one of the three students. She is currently pursuing a Bachelor in Journalism and Psychology. Ms Talebula who lives 10 minutes away from where local mobs are allegedly on a riot, said they had been indoors since the incident started on Sunday night. She said it was so serious that two African women were allegedly stripped off their clothes in the middle of the road while another man was allegedly beaten up and was in critical condition at the hospital. She said locals had been stopping vehicles to see if any dark-skinned foreign students were on board. “They are also burning vehicles,” she said. Ms Talebula said foreign students at the college haD been advised to stay indoors for the next two days and wait for the situation to calm down. Second year student, Rebecca Heather, 25 of Nadi, who is pursuing a Bachelor of Arts in Economics, said this was the first time such thing has happened since they arrived in India. “The thought of never seeing our loved ones back home brings tears to our eyes as we hide behind our close doors waiting for the situation to cool down,” Ms Heather said. Mereoni Ravaga, a second year student pursuing a Bachelor in Computer Applications, said she was scared especially having to experience such thing that never happened back home. “I am just scared; this experience is something I will not forget especially when we are far away from home and the first thing that came into my mind was to go back home,” she said. Ms Talebula said local shops nearby had closed and road blocks had been erected at places where mobs had been terrorising. Fiji’s second secretary at the Fiji High Commission in Delhi, India, Om Prakash last night confirmed they have been in touch with the Fijian students but couldn’t divulge more information. Permanent secretary for Foreign Affairs, Esala Nayasi also said they had been in touch with Fijian officials in Delhi and was awaiting a report from them before they could make any further comments.